McDonald Elementary School, James A. Michener Art Museum. Make a reservation for a FREE school visit! The Michener Art Museum also offers a separate Bus Scholarship Program to eligible schools/districts. Each year, thousands of students participate in the Michener Art Museum’s school programs. The museum goals are to enrich students’ understanding of and responses to works of art both in the museum and in the classroom. Our goal is to guide students toward a deeper and richer interpretation of the visual arts by fostering critical thinking, literacy and observational skills, and by helping students see how works of art relate to both their school curriculum and their life experiences. Programs support national, state and Common Core standards. The museum also provides opportunities to enrich teachers’ professional development and demonstrate how the visual arts can be a springboard for teaching a variety of subject areas. 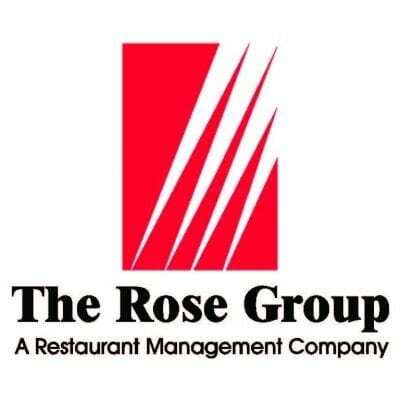 The School Visit Program is made possible by the generous support of The Rose Group. Additional funding for bus transportation is provided by an anonymous donor. Arrive on time. Visits are closely scheduled, and docents have a strict timetable. Please call the museum at 215.340.9800 about any delay. Late arrivals may have a shortened visit. Buses may discharge and pick up visitors at the Pine Street entrance, then park at the rear of the library parking lot. See Group Visit Bus Parking Information. The length of your visit corresponds with the program you selected. Please consult your confirmation form for the length of your visit. Chaperones are expected to stay with their group and assume responsibility for student supervision at all times. Polite behavior in the museum includes no running or shouting. Other visitors are in the galleries during your visit. Respect the museum environment and museum visitors during your visit. Be polite, quiet, attentive and calm. Do not lean against walls or pedestals, as some of them are movable. Do not climb on outdoor sculptures or architectural structures. Pencil activities need prior arrangement. Pens are not permitted in the galleries! See Guidelines for Written Activities. Backpacks, packages, gum, food, and water are not permitted in galleries. Photography is not permitted during the visit. Cell phones must be turned off or put on vibrate mode during a visit. If you must take a call, please go to the lobby area. Photography with cell phones is not permitted in the museum. Touch with eyes, not fingertips. Remember, sculpture is art, too. Museum personnel are available for assistance during your visit. Please cooperate: museum rules are for your safety and for the enjoyment of your visit. The museum reserves the right to ask any member of your group to leave if their behavior is impacting the museum experience for others. High school and college groups may write or sketch with pencils in galleries under teacher supervision. Grades four and up may participate in written pencil activities while seated in a supervised gallery space. Teachers must notify the museum prior to the day of the visit, preferably at the time of confirmation, if they are planning a written assignment for their students. Written assignments must be provided by the teacher prior to your visit. Feel free to download any of our activities to use as well. Pencils and support boards will be provided for school groups with prior notification. Only pencils and boards supplied by the museum may be used. Students are welcome to bring their own sketchbooks or writing journals. Chaperones No students may visit the museum unchaperoned. Student behavior in the museum is the responsibility of the chaperones from your school. Museum reserves the right to remove any student being disruptive during their visit or to cancel a visit if behavior is controlled. Arrange for one chaperone per six students, and distribute the informational welcome letter to chaperones. Fees School visits are free. Some programs require an additional fee. Please email msandquist@michenerartmuseum.orgfor more information. Reservations are required for any group having lunch at the Michener as part of their museum visit. Outside facilities are available for groups (and indoors pending availability). Indoor facilities include an additional fee and are only available November – March. 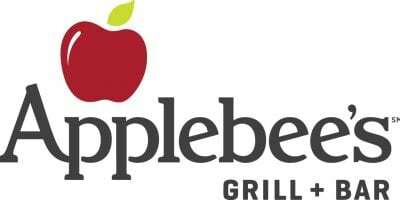 Please inquire during your reservation. Outdoor areas for lunch are not guaranteed. Please reserve ahead of time to assure your preferred dates. In the event of inclement weather, please have lunch on your bus or in an alternative location. Only the front sculpture garden area (the area between the museum and the library), and the Pfundt Sculpture Garden are available for outdoor lunch. Schools are not permitted on the café terrace area. There is no charge for groups having lunch outdoors. Please note that any groups having lunch at the Michener are responsible for their own trash. Chaperones are responsible for student behavior. Accessibility All museum programs are available to all students and the museum’s educators and docent team are trained in making programs accessible to all learners. Please inform the museum of any special needs that your students may have when making your reservation. For those with physical disabilities, the museum offers an accessible entrance, parking, elevators, and lunch and restroom facilities. Touch Tours are offered for students who are visually impaired and a wireless sound-enhancement system for those who are hearing impaired. Sign language interpreters are also available upon advance request. Museum Shop Our Museum Shop is available to the students following their visit. Please plan time in the Museum Shop at the time of your visit. Students typically spend $3 to $10 in the Museum Shop. Prior to Arrival Please have large groups divided according to instructions on your School Visit Confirmation sheet. It is extremely helpful if students wear nametags. On Arrival Your group will be greeted in the lobby by the lead docent. Please pay at the front desk for your group. Buses may discharge and pick up visitors at the Pine Street entrance, then park at the rear of the library parking lot. Students should remain on the bus while the group leader registers and pays. All visits begin in the lobby. Groups will be admitted at their scheduled arrival time; late arrivals will result in shortened lessons. Groups intending to self-tour before their lesson will be admitted after groups with earlier appointments. If you must change or cancel your confirmed visit, please do so as quickly as possible by contacting the Education Department by phone at 215.340.9800 ext. 124. Please note that we cannot always accommodate changes. If you do not notify the Education Department of your change/cancellation with at least 48 hours advance notice, then you will incur a cancellation fee. If you do not arrive on the day of your program without notification to the Education Department, you will be charged in full for your program. This excludes weather related delays and cancellations.